A new £20million national advisory service for farmers and crofters has been launched. 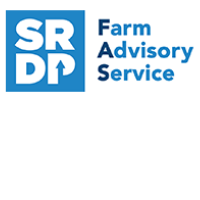 The Farm Advisory Service (FAS), which runs until the end of 2020, will be delivered by SAC Consulting and Ricardo Energy. It will deliver practical information and advice to farmers and crofters through series of workshops, network farm meetings, conferences and training courses. Farmers and crofters will also have access to information through a dedicated telephone advice line at 0300 323 0161 (the phone line will be open from 9am to 5pm Monday to Friday) and via the website https://www.fas.scot/. The website also hosts the starting point for grant applications for integrated land management plans (ILMP), specialist advice, mentoring for new entrants and carbon audits. Grants of up to £2,200 will be available for ILMP and £500 for carbon audits. In addition to the FAS, a new crofter and small farm advisory service has been launched. This provides discounted subscription and consultancy services for crofters and farming business under 75 acres in size. The new scheme replaces significant parts of the Veterinary and Advisory Services (VAS) programme delivered by SRUC. The veterinary components will continue as previously.